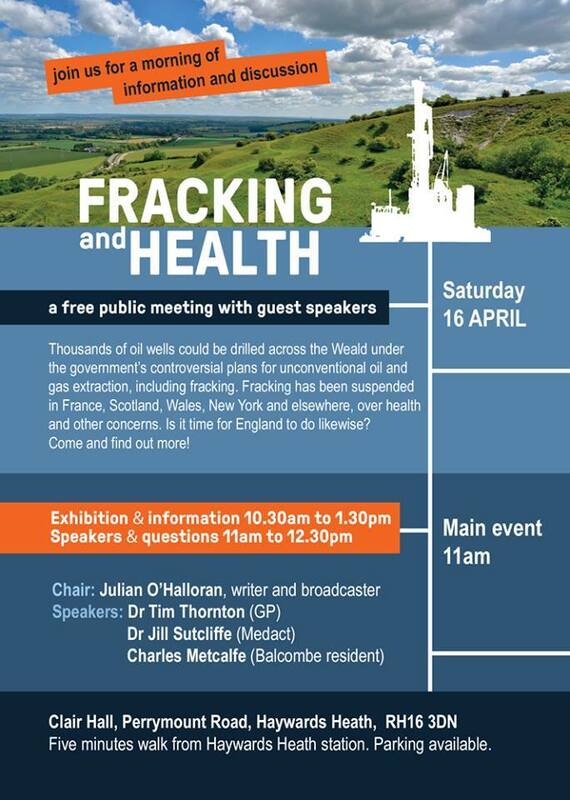 John Ashton, a career diplomat who served as the UK’s Special Representative for Climate Change from 2006-2012, had prepared a speech for a meeting in Sussex on the health effects of fracking, but was unable to attend because of family illness. His speech was read by a resident of Balcombe, the village renowned for its protests against fracking. You can read the full text below. Island Gas Ltd has submitted additional information in support of its application for the production of Compressed Natural Gas at the Albury Park Wellsite, East of New Road, Albury, Surrey. The new information covers restoration and aftercare of the well site. Look under the ‘Attachments’ tab and note that the newest documents are listed last. Gatwick oil ‘could add billions’ to UK economy, said a headline on the BBC website yesterday. The article was discussing the findings of a report by EY, commissioned by UKOG and based on UKOG’s own assumptions. The report, Kimmeridge Limestone Oil: The UK opportunity, concludes that “the development of Kimmeridge Limestone Oil in the Weald Basin, assuming it can be extracted from a development site at the volumes projected by UKOG [our emphasis], has the potential to generate significant economic value to the UK economy”.